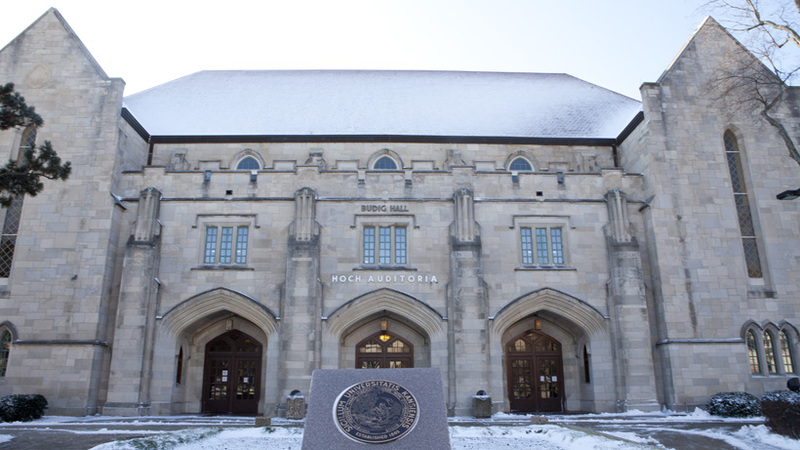 Named for Gene A. Budig, chancellor 1981-94, and dedicated Oct. 31, 1997, it replaced the building that was designed in the Collegiate Gothic style by State Architect Charles D. Cuthbert and that opened as University Auditorium in 1927; it was named in 1938 for former Kansas Gov. Edward W. Hoch (1905-09). 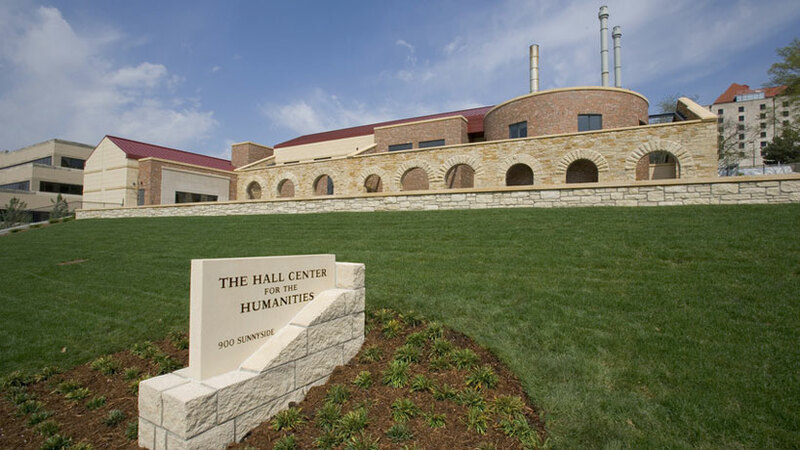 The center, dedicated April 9, 2005, incorporates nine limestone arches and the walls from KU’s oldest surviving structure, the 1887 Powerhouse designed by John G. Haskell. The center includes a 120-seat conference room, seminar room and offices for Hall Center staff and research fellows. It was built with a $4.07 million gift from the Hall Family Foundation and state and private funds. This 1983 addition to Moore Hall includes an auditorium seating 45 and is named for William W. Hambleton, alumnus/faculty member, state geologist and KGS director 1970-87. It houses the Publication Sales division of the KGS, the Data Access and Support program and public data and library services. This 1962 Daisy Hill residence hall for men and women, named for Margaret Battenfeld Hashinger, underwent major renovations in 2005-06. 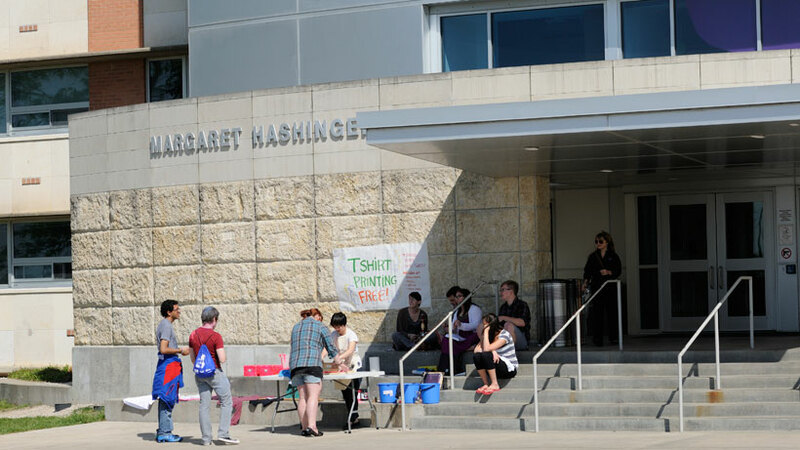 It has a performing-arts focus and offers studio, rehearsal, and performance space for residents. State Architect James Canole and Peters, Harrison & Associates of Lawrence designed the eight-story, $3.5 million building of dark buff brick and cottonwood limestone for the newly created Division of Biological Sciences. It opened in 1969; a major addition designed by Peters, Kubota & Glenn of Lawrence was dedicated April 12, 1986. 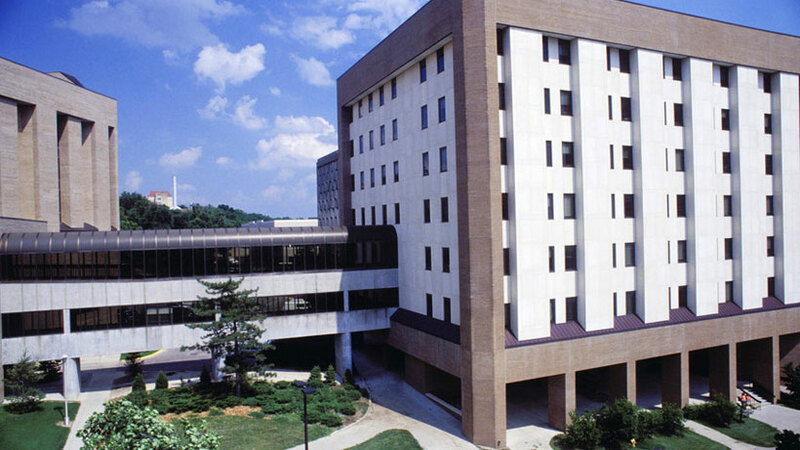 Named for Takeru Higuchi, Regents Distinguished Professor of Chemistry and Pharmacy 1967-87, the building was completed in 1969; major renovations were done in 1989. It now houses the Kansas Biological Survey (KBS), a research and service unit whose programs and activities range from aquatic and terrestrial ecology to remote sensing. KBS research units housed in Higuchi include the Central Plains Center for Bioassessment, the Kansas Applied Remote Sensing Program, the KU Field Station, the Native Medicinal Plant Research Program and Reservoir Assessment. Completed in June 2013 by the School of Architecture & Design's Studio 804 design/build class, this advanced research facility houses KU EcoHawks, a School of Engineering student program that focuses on sustainable energy approaches for automobiles and infrastructure. The open structure, divided into two enclosed pods and one open-air pod, incorporates aluminum recycled from a Wichita airplane manufacturer and glass from a Kansas City, Mo., building project, Aerogel insulating panels, and photovoltaic panels on the entry canopy. The first baseball field on this site south of Allen Fieldhouse, built in 1958, was named for Earnest Q. Quigley, KU athletic director 1944-50, a National League umpire and a football and basketball official. The 16,500-square-foot facility, completed in 1999 at the southwest corner of Allen Fieldhouse, houses volleyball and basketball practice and competition courts and a volleyball locker room that were enlarged and remodeled in a 2009 project. The arena seats 1,300. The center was funded by Stewart Horejsi of Salina, a 1959 graduate, and named for his family.